FC Barcelona will play in the Copa del Rey against Valencia on Thursday, February 1, starting at 9.30pm CET. Ernesto Valverde's men contest the first leg of the semi-final at Camp Nou against the third place team in the league, a rival who is traditionally difficult for Barça. 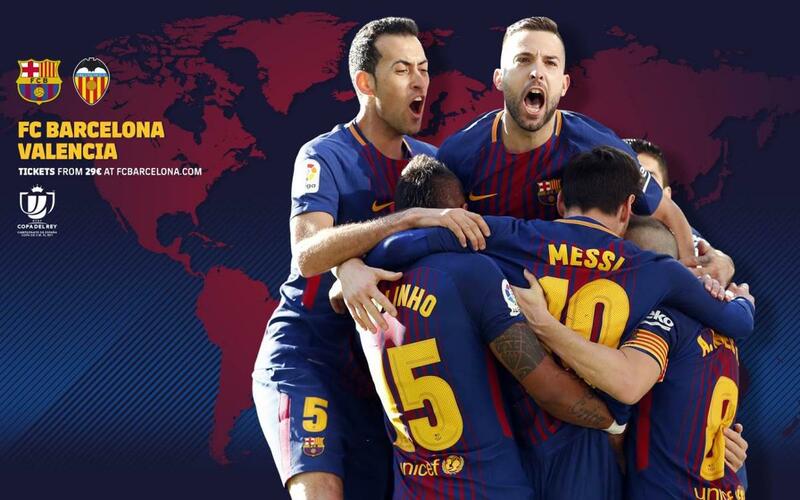 The match will be shown live by GOL and Telecinco in Spain and by many other television channels around the world that we will list below. You can also follow minute by minute coverage via the Club website and its different official accounts on social media platforms.